My involvement in wildlife photography began as a natural progression from a keen interest in natural history during my school days. Earlier work mainly involved the photography of bird’s nests and easily approachable sea birds, using 120 size mono films which I developed and printed on a home made enlarger. 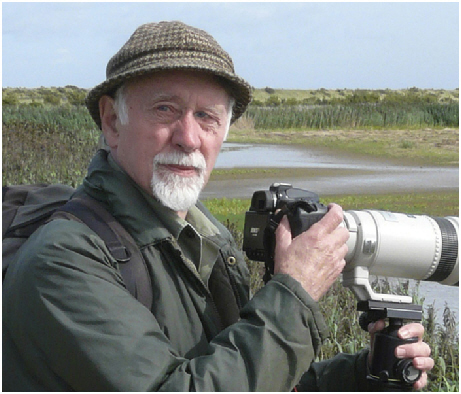 In the late 50’s I progressed to 35mm and professional medium format gear which I continued to use mainly for photographing birds at the nest until the mid 60’s when the quality long focus 35mm lenses became available which enabled me to embrace a much wider range of subject. In 1977 I was enrolled as an associate of the R.P.S. and in later years as a wildlife photographic group tour leader I have travelled to many destinations world-wide - The Falkland Islands, Tanzania, Botswana, Scandinavia and the wilder parts of Scotland being my favourite locations.